Gaining the competitive edge in business gives a company the upper hand and it is therefore imperative that functionality and processes are kept sharp. Managing costs, reducing variation, removing waste and improving customer satisfaction all contributes effectively to enhancing excellence during the manufacturing process. After introducing the Six Sigma assignment to RPC Astrapak’s sites earlier this year, trainees are one month into their first project at their respective sites as part of the process to implement Six Sigma methodology into their operations. Six Sigma methodology focuses on two key areas – teamwork and excellence – incorporating two of RPC Astrapak’s Core Values. By implementing the correct methodology and processes, and identifying areas where efficiencies are less than optimal, the execution of Six Sigma methodology rectifies processes and outcomes. Define, Measure, Analyse, Improve, Control (DMAIC) – with the DMAIC method in place, each step works in unison to improve processes, and DMAIC is an integral part of the Six Sigma process. Six Sigma is not limited to any single area within the workplace, and the current group is representative of those holding positions as General Managers, as well as in Planning, Technical and Quality sectors amongst others. 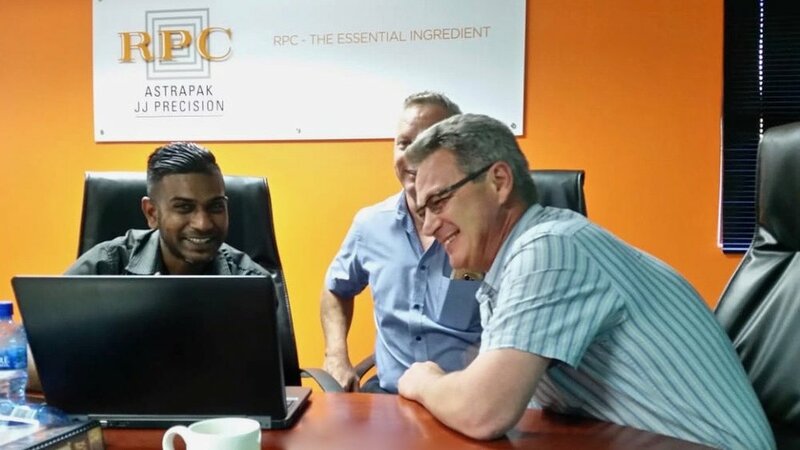 The process is being driven to become part of the operations culture at RPC Astrapak.